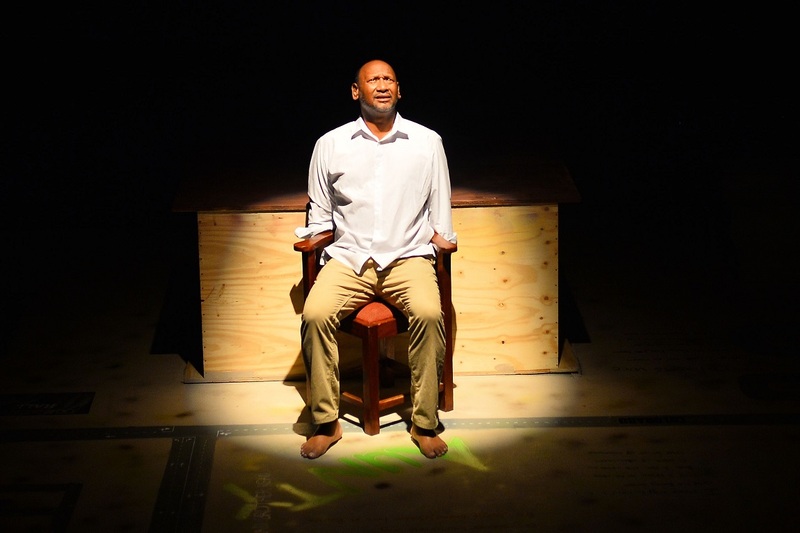 The clanging of prison doors, a single spotlight and Zane Meas on the stage. Starring Meas, the Market Theatreâ€™s production of The Storyteller of Riverlea is the story of acclaimed poet, writer, and storyteller Chris van Wyk. The one-man show is a much watch. FATIMA MOOSA watched the Sunday showing of the play. Van Wyk was a renowned author, poet, and political activist who passed away in 2014. His two most famous works are Shirley, Goodness, and Mercy, and Eggs to Lay, Chickens to Hatch. In Detention van Wykâ€™s poem about apartheid political prisoners is still studied in schools all over South Africa. This play is a tribute to his life. Playing in the intimate Mannie Manim Theatre, the play features a simple set utilised beautifully to tell the story. 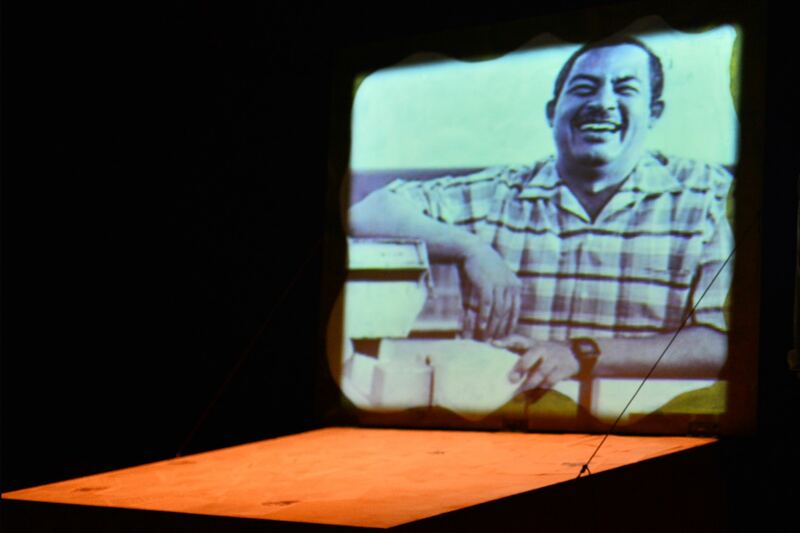 As much as it is the story of van Wykâ€™s life, the play is a South African story. The experiences and feelings feel familiar even though I have never lived in Riverlea and any such place. 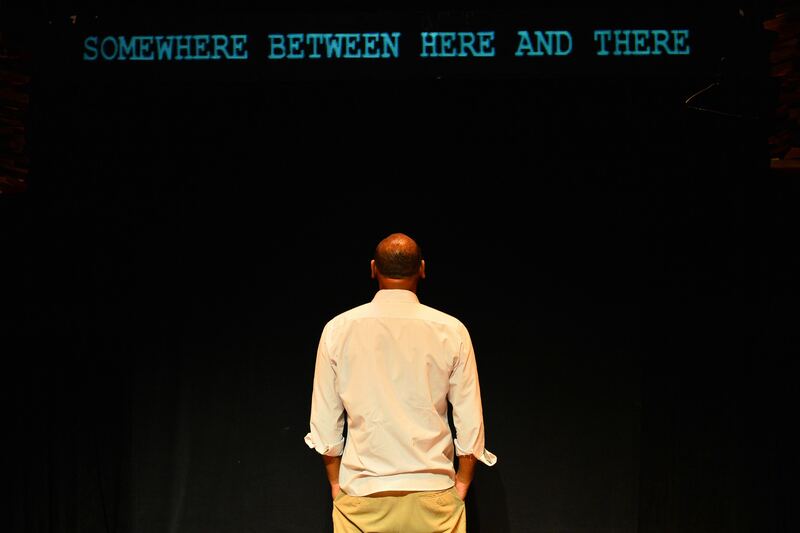 Meas as van Wyk starts off the play with a quote by T.S Eliot: â€œWhat we call the beginning is often the end. And to make an end is to make a beginning. The end is where we start from.â€ Van Wyk/Meas is in the in-between place between the living world and the hereafter. He is in detention similar to his most famous poems. Memory is not something that is chronological so the timeline goes from the end of his life to his childhood and back. Before crossing over, he spends the play trying to make sense of van Wykâ€™s life and wondering if he did enough at the end of life. The play is set in Riverlea – van Wykâ€™s hometown. It was the place where he gained a love of storytelling and which he called home for most of his life. As much as he put the â€œcoloured townshipâ€ on the map – the place influenced him in far greater ways. A particularly powerful moment is when van Wyk speaks about how the stories he heard as a child sparked his love of storytelling. Those were stories he picked up from books, from the Bible or the â€œskinnerâ€ gossip stories shared by his mother and her friends. For anyone who has picked up a story or listened to one and found yourself transported to another world, this is relatable. Van Wyk has the bigger gift of being able to provide that same feeling for others. 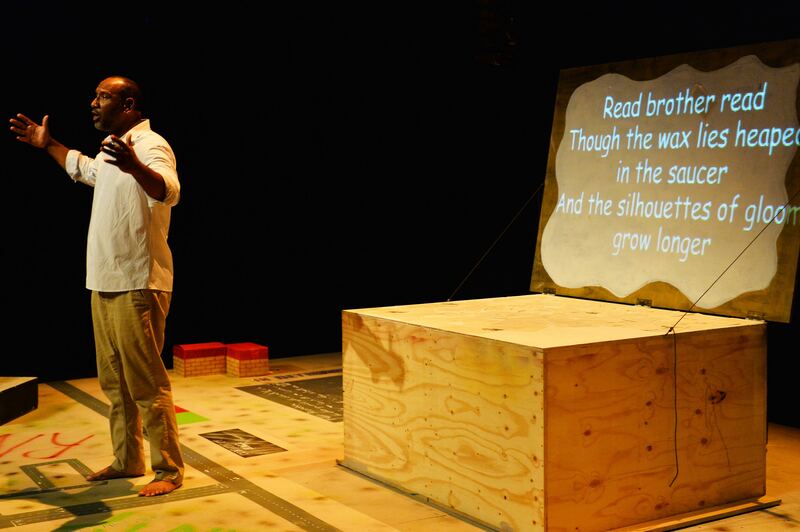 In the play, Meas shows how van Wyk had a deep passion for getting young people to read. He believed that young people werenâ€™t reading and wanted to encourage them to discover the magic of words. One of his poems recited by Meas tells his friend to read and read even if the candlelight goes out. Meas is tremendous in the role. He fills the space making it seem too big and so small at the same time. Beyond the impact that van Wykâ€™s work had on many people, you can tell that Meas knew him in a more personal way. The pair met when Meas played one of van Wykâ€™s characters in a play adaptation. Measâ€™ range of emotion displayed speaks of a deep reading of van Wykâ€™s life and works. Crowd participation is an essential part of the charm of the play. Through rhetorical questions and statements, it feels like Meas addresses you personally. Even if you have never interacted with any of van Wykâ€™s works the play will still be thoroughly enjoyed. With its underlying message about the magic of storytelling and more than that the importance of telling our own stories. The exclamations and laughs from the crowd at points where they heard familiar experiences related to them was a joy to see. The play would have been even better if it was only a little longer. At an hourâ€™s length, the show feels like it is over before it even begins. Otherwise, there aren’t any other complaints about the play. The show had its debut on January 25 and will be playing until February 24. There are shows Tuesday through to Sunday. Ticket prices range from R90 to R150.